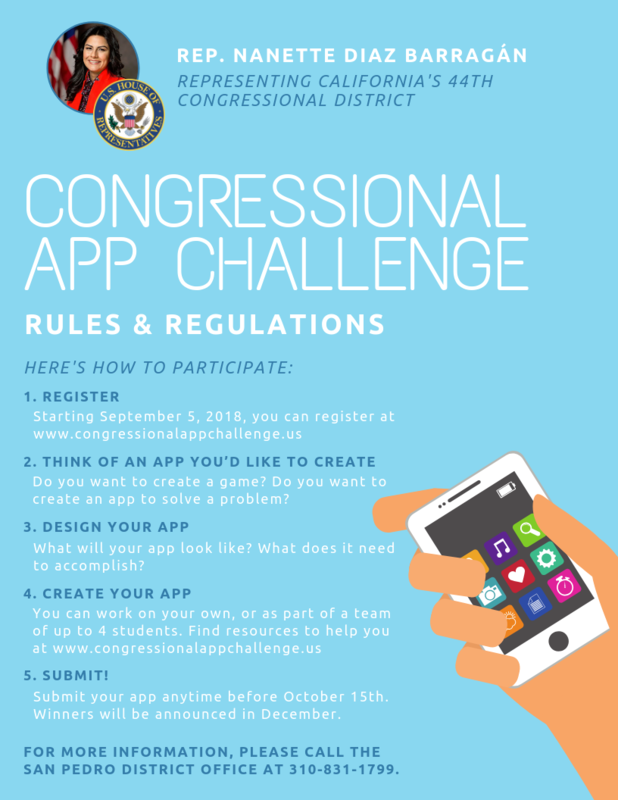 programming talent, Congress hopes to shine a light on the growing importance of these skills. to create their own apps. Students are encouraged to register online by Sept 10th. 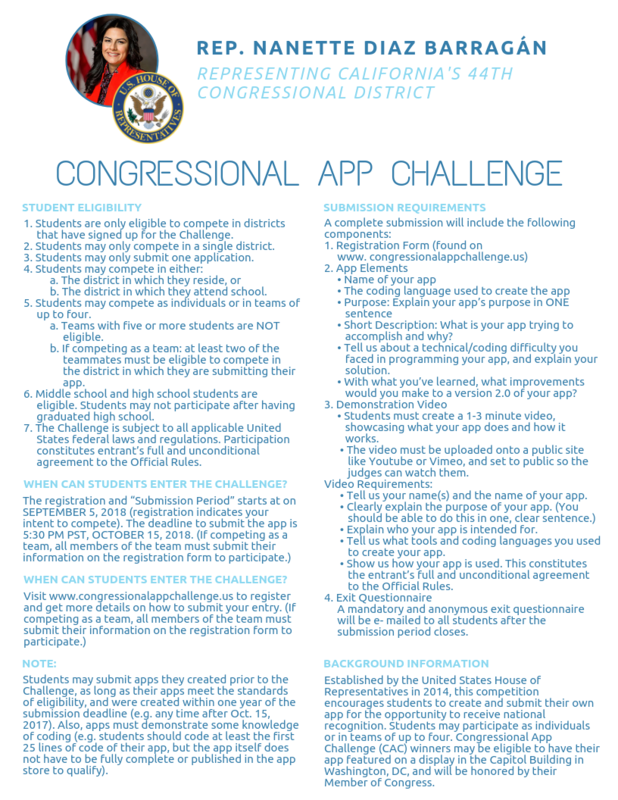 To learn more about the competition or to submit an app go to the Congressionalappchallenge.us website.